Don’t let the cute, cartoony cow on the package fool you! This hilarious novelty gift doesn’t contain a tasty treat. 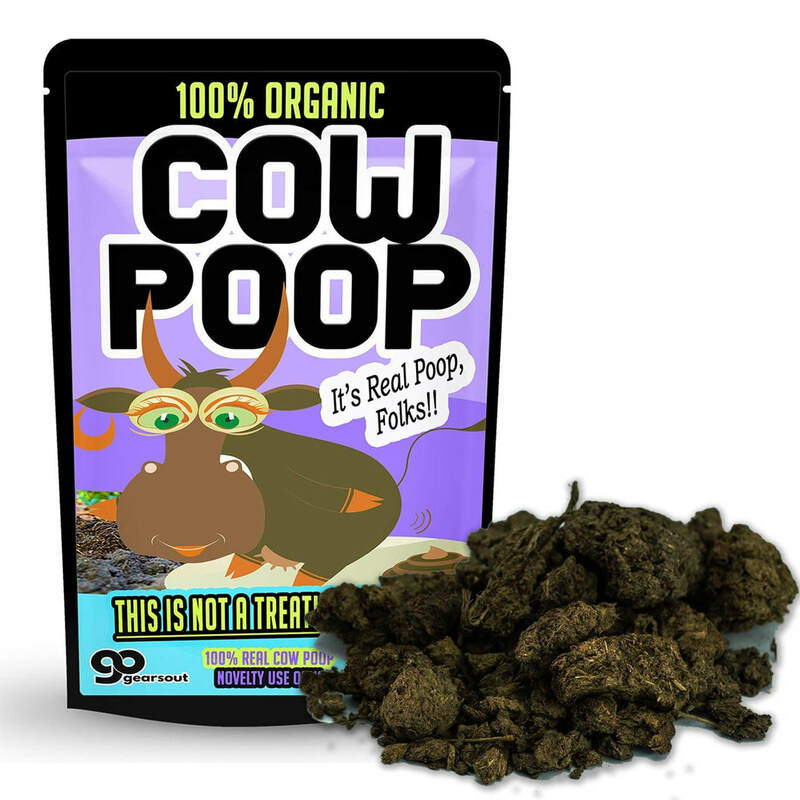 This Cow Poop Gag Gift is packed with 100% genuine cow poop. Carefully packed into a factory-sealed gift bag, you can prank with confidence that you won’t find any stray poo mucking up other gifts. If you’re feeling extra spunky, take it a step further, and wrap it up in decorative paper for added flair!